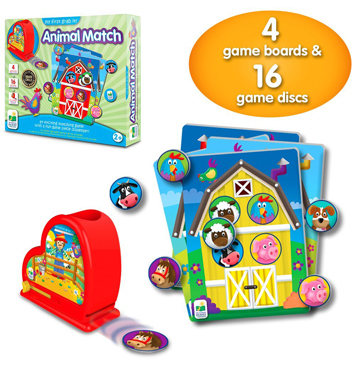 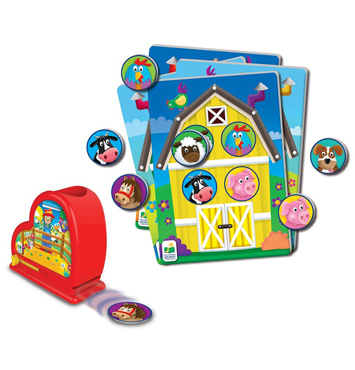 This Bingo style game incorporates a fun twist as players first launch the animal discs from the dispenser and place the card on the corresponding animal on their game board. 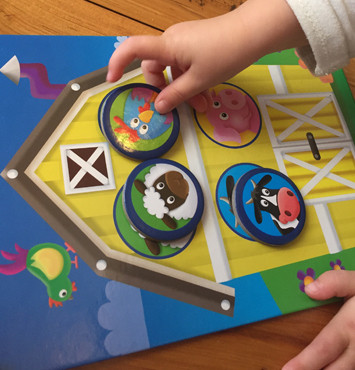 This colourful farm animal – themed set incorporates basic matching skills and helps children practice operating the dispenser through a holding and sliding action. 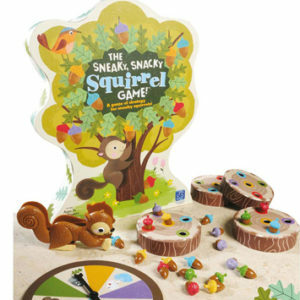 With only four discs on each playing card, this game can be played in under 10 minutes and played by 1- 4 people. 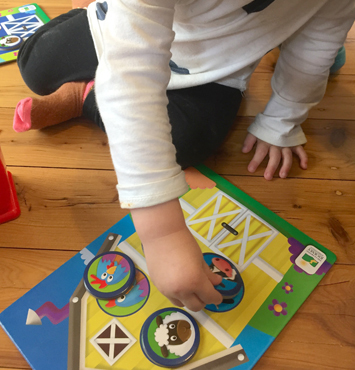 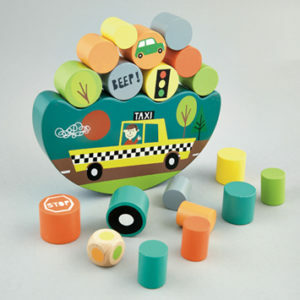 This is a great play extension for children who are mastering waiting and turn taking and ready to incorporate some basic rules into their play.